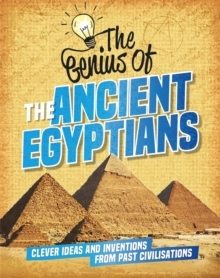 Which genius ideas and inventions began with the ancient Egyptians? What did they develop that we use to this day? In this book, aimed at readers aged nine and over, find out how the ancient Egyptians built their temples and pyramids, irrigated and farmed their land, and took care of their people during life and after death. Discover their brilliant developments in farming, paper-making, time-keeping and medicine and how they have influenced the way we live today. The 'Genius Of' series explores the major discoveries, inventions, influence and legacies of key periods in history.